Huge crowds once gathered at the facility. To those who might remember the octagonal structure situated in the middle of the Wilmington College campus, they will know it as Whittier Court. That, however, was not its original name — that was the “tabernacle”, and in the local newspaper it was referred to as a wigwam. It was called a tabernacle because it was first built as a meeting place for the annual meeting of the Wilmington Yearly Meeting of the Religious Society of Friends, or Quakers, which was headquartered on the local campus. The term wigwam was only used twice in the newspaper and does not appear elsewhere. 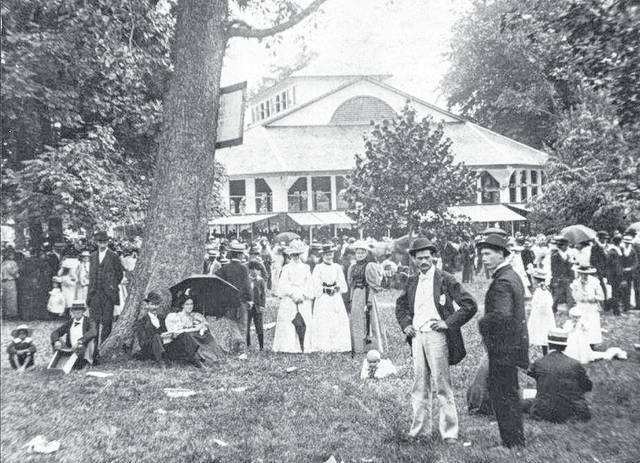 The structure was built in 1896 to replace a tent which proved inadequate for the numbers that came and the weather that occasionally failed to cooperate. 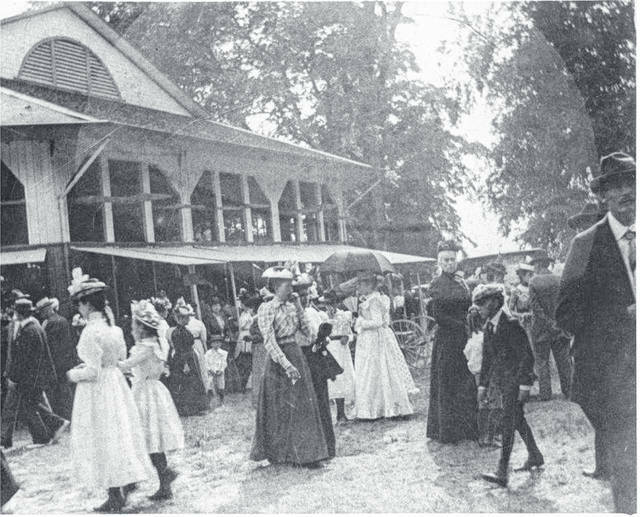 The designation of the local yearly meeting took place in 1892 and the first meeting was held in the new structure in 1897. The extant photos certainly suggest that there were thousands in attendance. The floor was filled with sawdust and there were complaints about the persistent fleas. In 1920 there was need for more space and the auditorium was turned into an all-year building. Whittier Court was replaced by Hermann Court, which was dedicated December 1966.